Way back when, like... the 1990's, Abigail's mother was on the board of the Pittsburgh Women's Center & Shelter. She told Abby about what an amazing place it was, but it was also kind of surprising to Abby that that kind of place still has to exist. Fast forward to 2015 when Abby moved home to Pittsburgh, and a good family friend connected her with the WCS because they were in the middle of a huge capital campaign and wanted some help with communications. Abby said yes to the opportunity to help such a great organization doing truly life-saving work, helping more than 7,000 clients annually. leading trainings on communications strategies, including email and social media, to help modernize efforts and connect with younger audiences that historically had been left out of WCS communications. managing social media campaigns and overseeing accounts during a time of transition. participating in the board Communications Subcomittee, since 2015.
arranging two press conferences at the WCS, which was a new tactic for WCS. creating a social media campaign that engaged local leaders to drive donations from the public to help complete the capital campaign. WCS is always on a tight budget, so Scottie is happy to not only offer pro-bono services but work with the client to think of low- or no-cost ways to achieve objectives. For example, when WCS decided to have an "open house" type event to welcome supporters into its newly renovated shelter, Scottie suggested that they also have a ribbon-cutting ceremony/press conference and VIP reception before to thank major donors and elected officials who had helped make the project a reality. For such an important day, Scottie suggested a professional photographer was critical to capturing images they could be proud to use in their own publications and share with others. Scottie was able to find a wonderful local photographer who also donated her services for the day, and the results were fabulous. 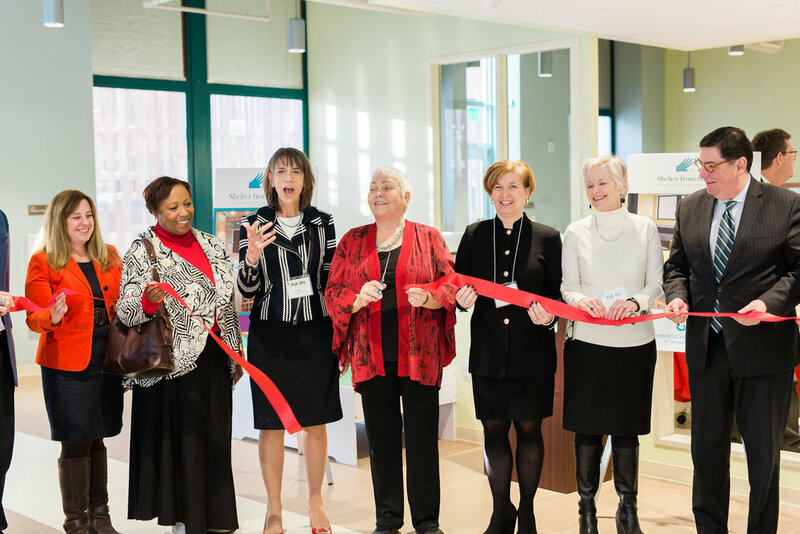 The Women's Center & Shelter also received very positive press attention for its incredible fundraising and renovation effort, including in the Pittsburgh Post-Gazette. Working with Women’s Center & Shelter is always some of the most fulfilling work we do at Scottie.